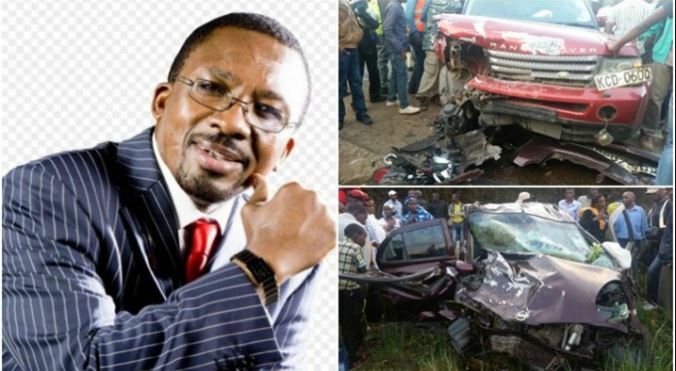 Interior Cabinet Secretary (CS) Fred Matiang’i has ordered for fresh investigations into circumstances that led to the acquittal of controversial Neno Evangelism pastor James Ng’ang’a accident case. The order comes just days after Kenyans took online to protest the ending of the case. Using the hashtag #JusticeforMercyNjeri, Kenyans on Twitter on Tuesday showed disappointment in the system. In a letter to the Inspector General of Police Joseph Boinnet and copied to the Director for Public Prosecutions Noordin Haji, Matiang’i asked the police and the DPP to appeal the pastor’s acquittal. “While seeking a report on the investigatory and trial processes that may have caused this outcome, I urge you to appeal this judgment in its entirety and pursue justice for the victims herein and the people of Kenya,” the letter read. The pastor was accused of driving his Range Rover dangerously in 2015, leading to the death of a woman on the Limuru-Naivasha Highway, charges he denied.